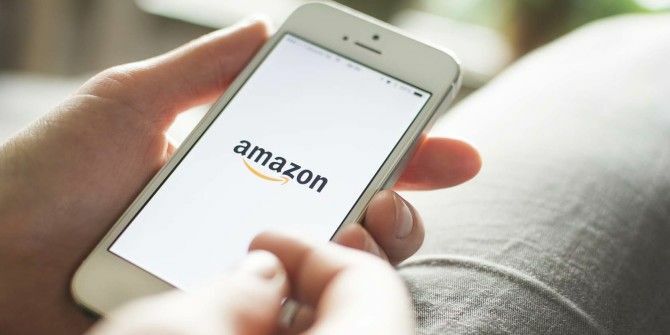 Not long ago, Amazon silently rolled out a new security feature that’s been proven effective — two-factor authentication What Is Two-Factor Authentication, And Why You Should Use It What Is Two-Factor Authentication, And Why You Should Use It Two-factor authentication (2FA) is a security method that requires two different ways of proving your identity. It is commonly used in everyday life. For example paying with a credit card not only requires the card,... Read More , which is actually called two-step verification by services like Amazon and Google. When enabled, two-factor authentication sends a verification code to you by text message. That way, even if your password is somehow compromised, there’s still another layer of security that’s much harder to hack. Without physical access to your phone, hackers won’t be able to break into your account. All you have to do is go into your Amazon account settings and look for the Advanced Security Settings page. Here you can enable Two-Step Verification by entering and confirming your phone number (or you can set up an authenticator app instead). It literally takes less than one minute. To be fair, two-factor authentication isn’t perfect — it’s been hacked before Two-Factor Authentication Hacked: Why You Shouldn't Panic Two-Factor Authentication Hacked: Why You Shouldn't Panic Read More — but it’s secure enough that you shouldn’t be concerned. In fact, two-factor authentication is highly recommended by all security experts 8 Tips for Online Safety Used by Security Experts 8 Tips for Online Safety Used by Security Experts Want to stay safe online? Then forget everything you think you know about passwords, antivirus and online security because it's time to be retrained. Here's what the experts actually do. Read More so don’t overlook it. What other Amazon security tips do you know of? Share them with us in the comments! We’d love to hear from you. Explore more about: Amazon, Online Security, Password, Two-Factor Authentication. How does Amazon 2 step work with something like Tivo? Or is it obvious it won't because that's not how the Tivo login to accounts work? I don't have any external devices like that so I'm not too sure. If you find out, please let us know! Really? That's strange. Maybe there's a delay in rolling out to other Amazon sites... That's unfortunate.